State of Florida approved, 100% online! Test anxiety? Our online BDI course now features no final exam! We've recently made several improvements to the course, including removal of the final exam, the addition of over a hundred new images, greatly improved high definition video, and much more. Try our online basic driver improvement course and we're sure you'll agree that it's the best DHSMV approved Florida traffic school course. Getting a ticket is definitely NO FUN, but your online basic driver improvement course was great!" You can take your online Florida traffic school course on your computer, iPhone, iPad, or Android mobile device. There is no better way to keep points off your license from a Florida speeding ticket or other moving violation. Sign up and get started today with DTA, the company that has been helping Floridians become safer drivers since 1977! If you get a traffic ticket in Florida, you have two choices. You can just pay the fine and hope your insurance rate won't increase, or you can pay the fine and go to traffic school ("Basic Driver Improvement") to keep your insurance rate low. Smart drivers choose to attend traffic school. Why? Because Florida law (§626.9541[o],F.S.) states that if you voluntarily attend traffic school for a moving violation, your insurance company cannot raise your rate (unless you were at fault in a crash). You can take your BDI course completely online with FloridasFirstTrafficSchool.com. Florida's First Traffic School Makes It Easy! Going to traffic school in Florida used to mean sitting in a classroom for four hours with strangers. Not anymore! Here are just a few of the ways Florida's First Traffic School makes it easy for Florida drivers to complete their Basic Driver Improvement course on the Internet. Why trust your license to a company from California, New York, or some other state? Florida's First Traffic School is owned and operated by Driver Training Associates, Inc., a Florida based company that has been helping Florida drivers keep points off their license for nearly four decades. Our dedicated customer service staff communicate with Florida motorists every day, answering questions about ticket points, license suspension, and Basic Driver Improvement course attendance. 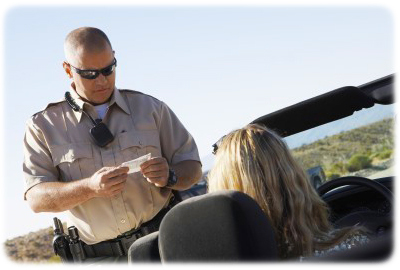 Let Florida's First Traffic School help take the frustration out of getting a ticket by providing you with a first class Florida traffic school experience. Click the "GO" button to get started on your Florida Online BDI course today.